We have helped you to get to know some of the great ski resorts of the United States. Today it’s all going to be about the biggest resort on the Eastern side of the country: Killington Ski Resort in Vermont that in that last few years has been nicknamed ‘The beast of the East’. This large terrain holds numerous possibilities for winter sports and relaxation in the winter, but if we have helped you decide in its favor, you should start planning your getaway as early as possible. 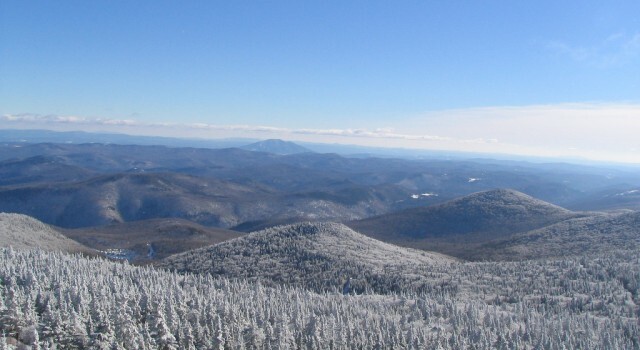 Killington Ski Resort is located near the town of Killington in Vermont and it is owned and operated by Powdr Corporation and SP Land Company since 2007. It is easy to get here by car as US road 4 goes directly through the town, if you come from a longer distance you will surely get a flight to a nearby airport first. Note that the closest domestic airport is Rutland Southern Vermont Regional Airport (RUT) about 20 miles away, while the closest international airport is Bradley International Airport (BDL) in Hartford about 146 miles away. 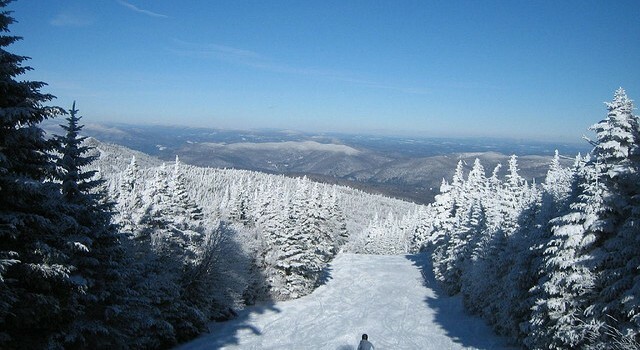 This Vermont ski resort is among the largest ones in the country with not less that 1,509 skiable acres plus another 468 acres at Pico Mountain adding up to 1,977 acres. 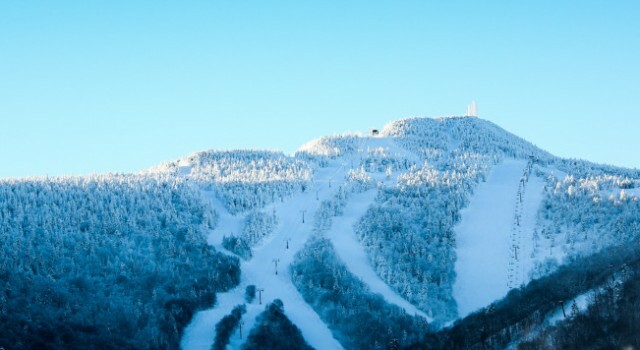 Killington Ski Resort consist of seven peaks, including Killington Peak, Skye Peak, Ramshead Peak, Snowdon Peak, Bear Mountain Peak, Sunrise Mountain Peak and Killington’s sister resort, Pico Mountain Peak. The base elevation is at Skyeship, at 1,165 feet, while summit is at 4,242 feet at Killington Peak. The resort is also home to New England’s largest vertical drop, not less than 3,050 feet. 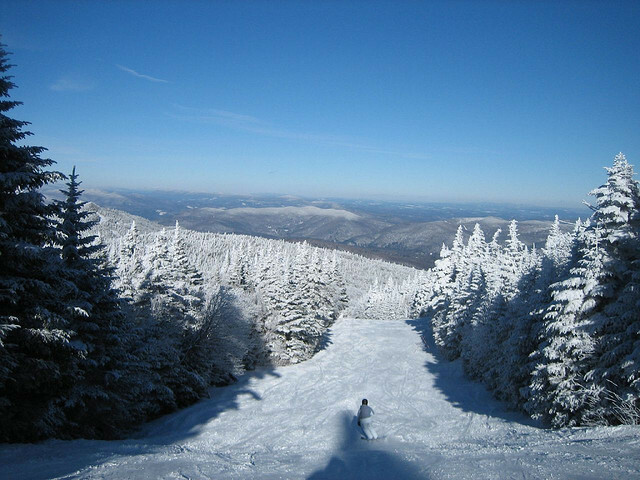 Killington Ski Resort awaits ski and snowboard lovers with as many as 155 ski trails of about 73 miles in total. About 28% of all the ski runs are easy, for beginners, approximately 33% are for intermediate skiers and some 39% of them are only for experts. A total of 22 lifts serve the visitors of Killington Resort, two of them are gondolas, nine quads including five high speed expresses, three triples, two doubles and six surface lifts, three of which are magic carpets. Although expected snowfall is less than in other resorts, only 250 inches a year, snowmaking covers about 70% of the total skiable area, so you will surely not be disappointed. Numerous terrain parks also await both freeskiers and snowboarders. Bear Mountain has got three, including The Stash with two pipes and over 50 natural features, Ramshed Mountain has got four and Pico Mountain has got a Triple Slope. 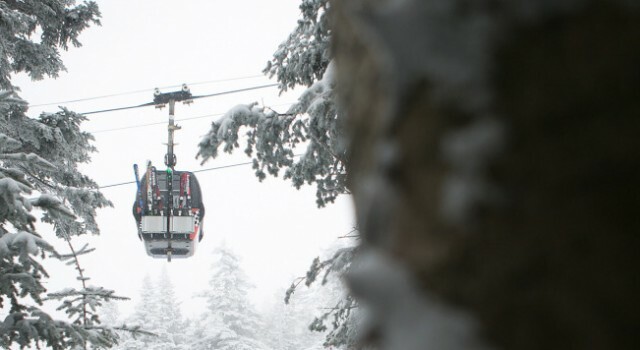 You can but lift tickets and season passes beginning from now for the 2015 – 2016 season. Early birds can book peak tickets for adults from $94, for seniors from $80 and for children from $72. Tickets a few dollars more expensive on peak dates that are the days around Thanksgiving, Christmas to New Year, Martin Luther King Day and Mardi Gras. Kids under 6 and seniors above 80 ski free at Killington Ski Resort. You can also buy passes and tickets for 2 or more days. Most people come to Killington to ski and snowboard, but there are so many other things to do here! 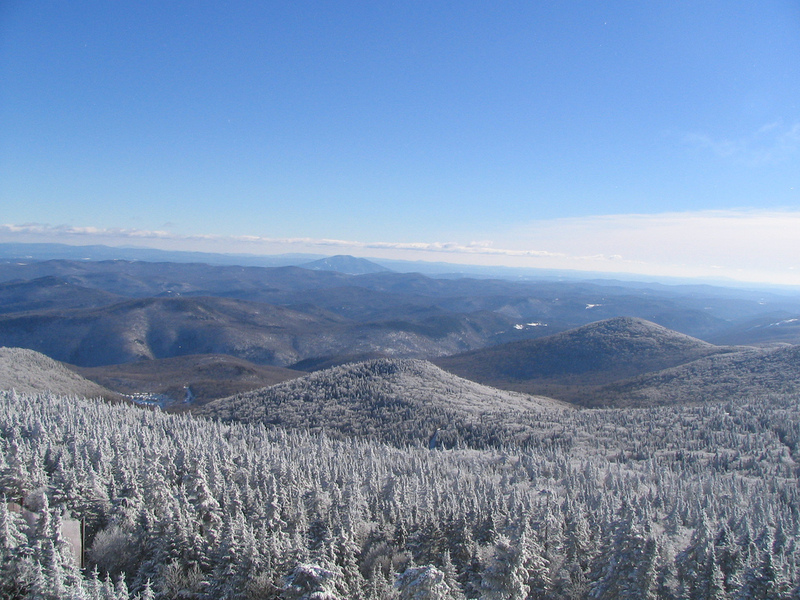 The winter landscape of the mountains in spectacular and what better way to see it all than from a gondola… You can get yourself a gondola ride up to the Killington Peak and enjoy the view from 4,241 feet, from an 8 person closed gondola cabin. 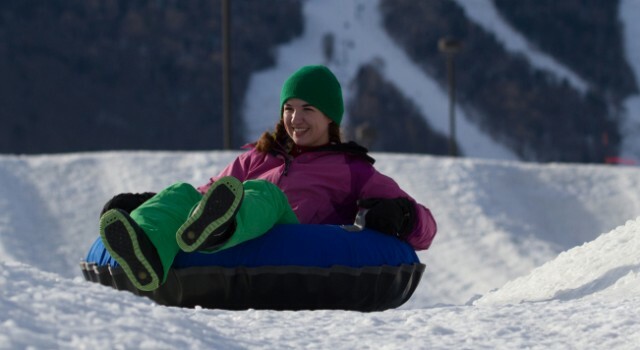 If you come with the family, you will all love the tubing park, in the center of the resort. There are multiple lanes here and the park is lift services. You might also consider spending a few hours exploring the area on foot – or better said on snowshoe. Bring your camera and take amazing pictures while walking on the beautiful trails. Want a something more exciting? Book yourself a snowmobile tour and boost your adrenaline. Regular snowmobile tours are of one hour and while you are away, your kids will be entertained with a tour of their own. For even more excitement go on a backcoutry tour of two and a half hours through the woods and mountains. During the winter you can also rent fat bikes to bicycle through the forest trails alone or with friends. If you are a more romantic type and love all those movies with rustic winters, snowcat drawn sleighs are the thing for you. At Killington Ski Resort sleighs depart on 5 PM and go for 20 to 30 minute rides. There are plenty of places where you can eat great food and stay in comfortable rooms at Killington Ski Resort. Guests can choose from a wide range of lodging options from budget friendly inns to luxurious lodges, from those only a few steps away from the lifts and restaurants to those more secluded. Cascades Lodge is located within half a mile from the trails with free hot breakfast, free Wi-fi, sauna, indoor pool, a fireside pub and amazing views. Birch Ridge Inn is also close to the to lifts but it is a more luxurious option for those with a bigger budget. There are plenty of restaurants and bars at Killington Ski Resort as well. Vermont is famous for its farms where fresh food is grown and its rivers filled with delicious fish, so you can find fine places to eat local and even organic food but there are places with great burgers, Italian food and steaks also. Start searching for the best flight, hotel and vacation deals in Killington and the area now so you can sit calm and wait for the day of the departure. Just select some of the travel websites you know and trust, enter your travel dates and compare prices until you find the best offers.